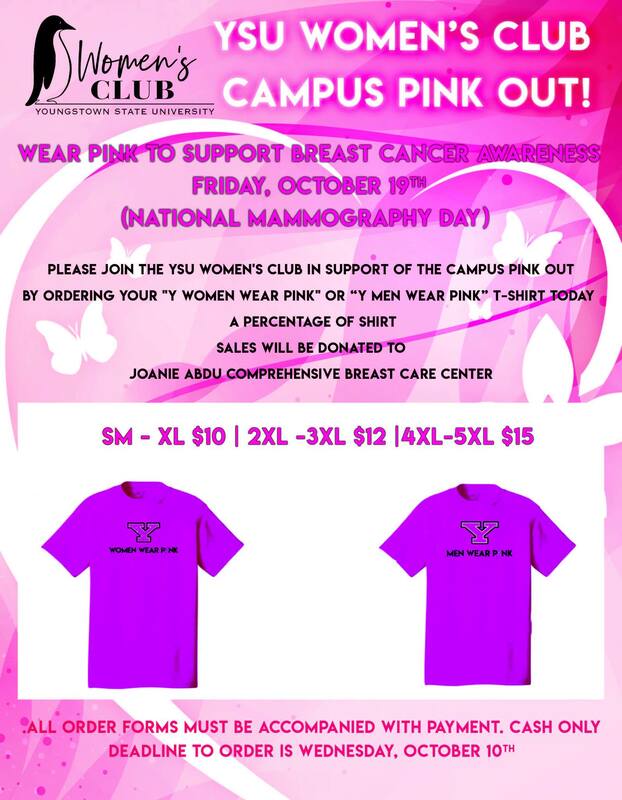 The YSU Women’s Club is sponsoring a Campus Pink Out in honor of National Mammography Day on October 19. Women and men are encouraged to wear pink on this day to support breast cancer awareness. Shirts can be purchased in advance of the Pink Out. Order forms are due, along with payment, by October 10. A percentage of the sales will be donated to the Joanie Abdu Comprehensive Breast Care Center.